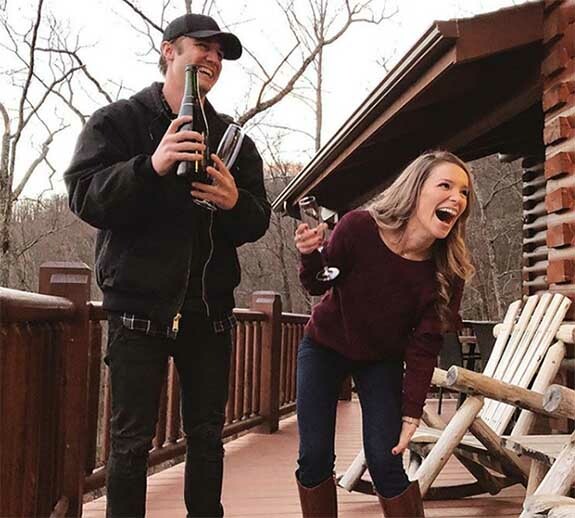 The Georgia-raised 23-year-old turned to Instagram on December 23 to share a snippet of his new song, along with the caption, “She said yes.” Then, three days later, he confirmed his engagement with a photo of him and his now-fiancée Janna Nevil celebrating with glasses of champagne. In the song, Ennis says he can’t wait to see his girlfriend’s face when she sees the ring that he picked out. We also learn that Ennis’ proposal has been a year in the making. It started last Christmas when he revealed his intentions to Nevil’s dad. In a romantic example of life imitating art, Ennis stood by his lyrics and popped the question during the Christmas holiday. In the catchy chorus, he sings “Say yes, say yes, I hope you say yes / Say yes to me” — and she did.